1. 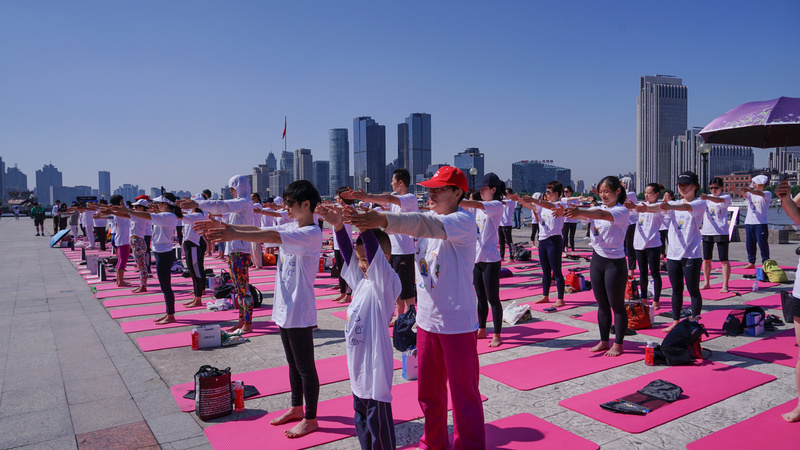 As part of the fourth IDY celebrations in the eastern China region, the third event was held on the banks of Huangpu river. 2. A large number of Yoga enthusiast participated in the event, held at early morning today. In addition, several distinguished guests from academia, media, and arts, including many Consuls General made it to the event. 3. With the message of Unity, Yoga has become the new bond connecting India with China and with the world. 4. 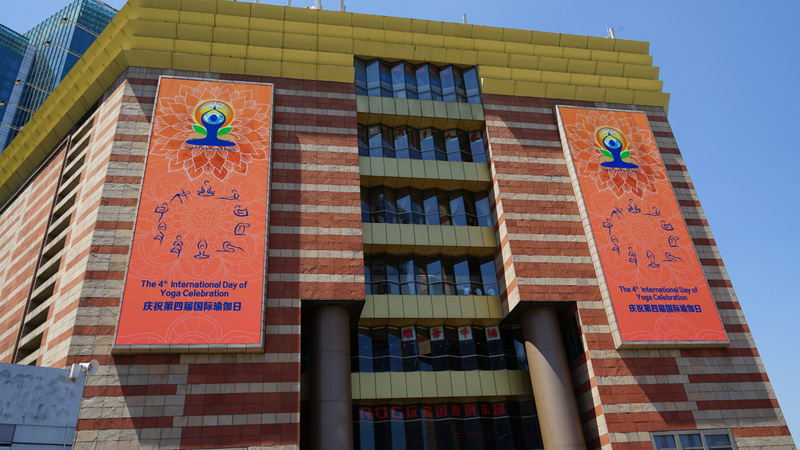 CGI Shanghai would hold a series of events in different parts of Eastern China running through the month of Solstice, with the theme "Practice Yoga - Stay Fit"! 5. The initiative of the event was taken by Super Brand Mall, Pudong which was possible with the support of sponsors namely China Coal, Sterlite Tech, Art of Living, Red Ridge.